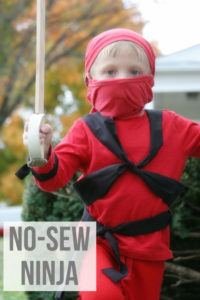 Looking for a simple Halloween costume idea? 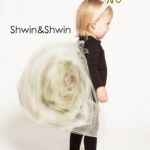 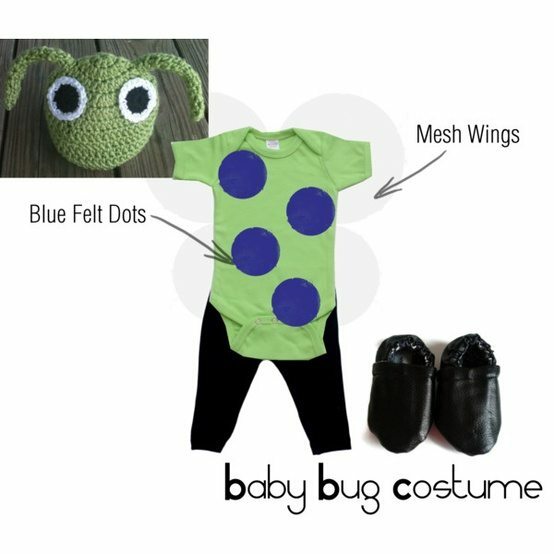 Try this Baby Bug Costume, which is an affordable and no-sew DIY costume idea. 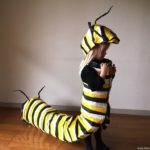 I’m a do-it-yourself gal when it comes to Halloween Costumes. 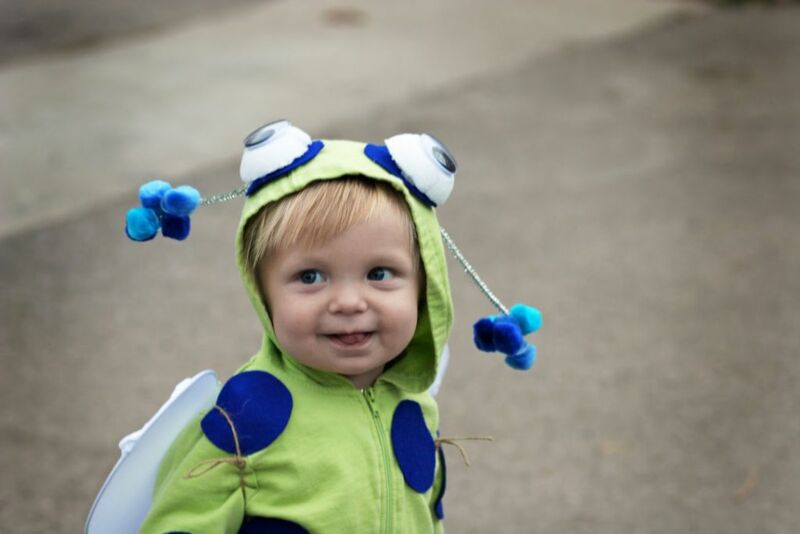 DIY makes a Halloween Costume more affordable, more personalized… and just so.much.cuter, don’t ya think? 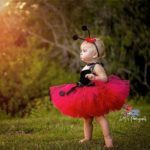 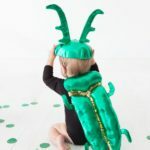 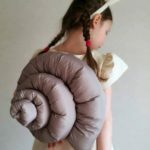 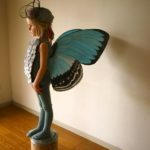 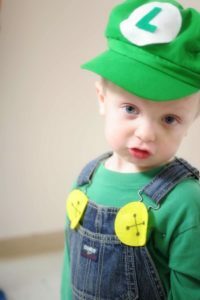 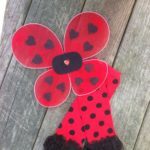 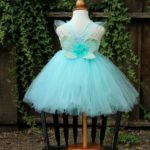 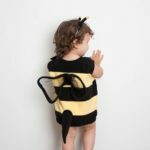 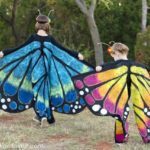 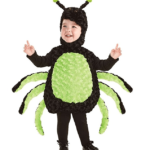 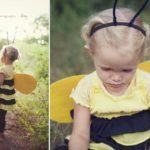 If you’re like me, and a sucker for DIY Costume Ideas, you’ll love this Baby Bug Costume perfect for your toddler or preschooler. 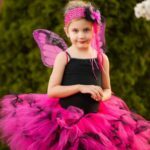 **Affiliate Links are included in this post. I have been calling my little guy “Bug” for a while now… I’m not really sure how it started… but it stuck! 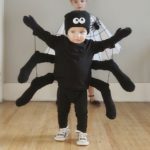 If it’s Mommy’s nickname for him, it seems to be the perfect sentimental choice for his second Halloween Costume. 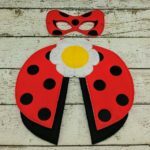 I headed to Etsy and Pinterest for inspiration. 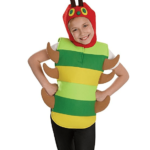 However, I found that Bug costumes tend to be a little girly. 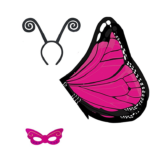 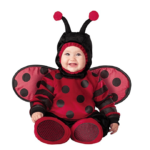 So, I built myself an inspiration board for a Baby Bug Costume on Polyvore — playing with stripe and polka dot variations. 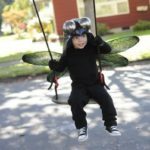 My husband and I both agreed on the spots, and off we “flew” to get our little Bug’s costume together. 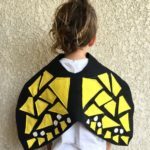 I was more than pleased with the final result, and it was so easy to DIY! 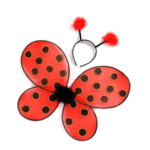 Click the image thumbnail to visit the site and view the tutorial. 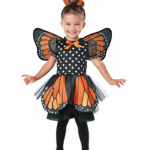 Click the image thumbnail to visit the site and purchase. 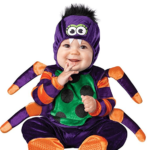 For my son’s 1st Halloween we decided to go with the traditional pumpkin costume. 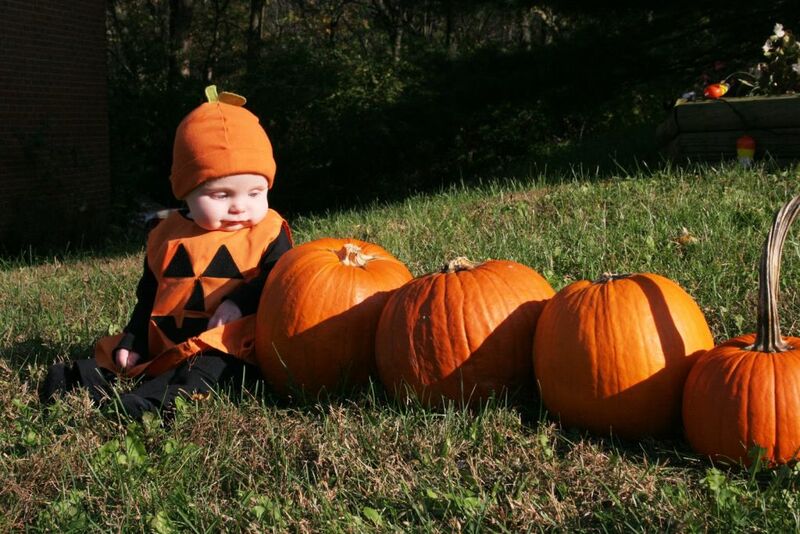 Here he is, looking cute, and hanging out in the pumpkin patch.